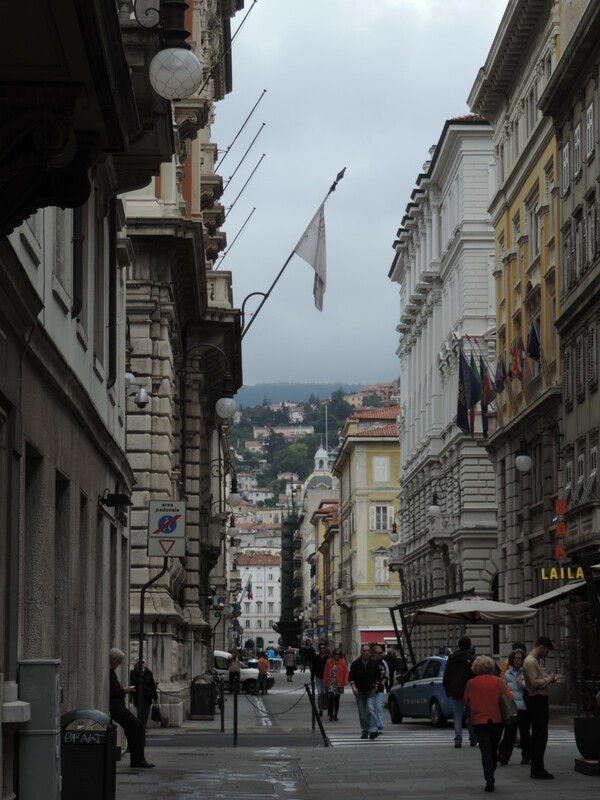 As a writer and teacher, I know that sometimes immersion is the best way to fully comprehend a new subject, so when United Airlines invited me to Trieste, Italy to learn more about their new partnership in premium coffee with illycaffè, I packed my bags. I’m all about knowledge for knowledge’s sake, and studying coffee by the sea in the country that first introduced that elixir to Europe is just good, sound educational practice. 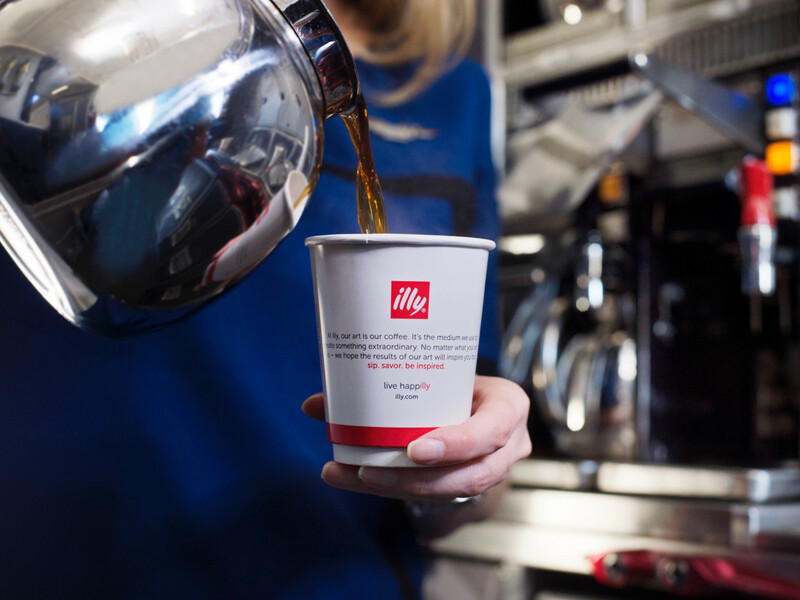 Starting July 1, United serves illy coffee on all its flights around the world. 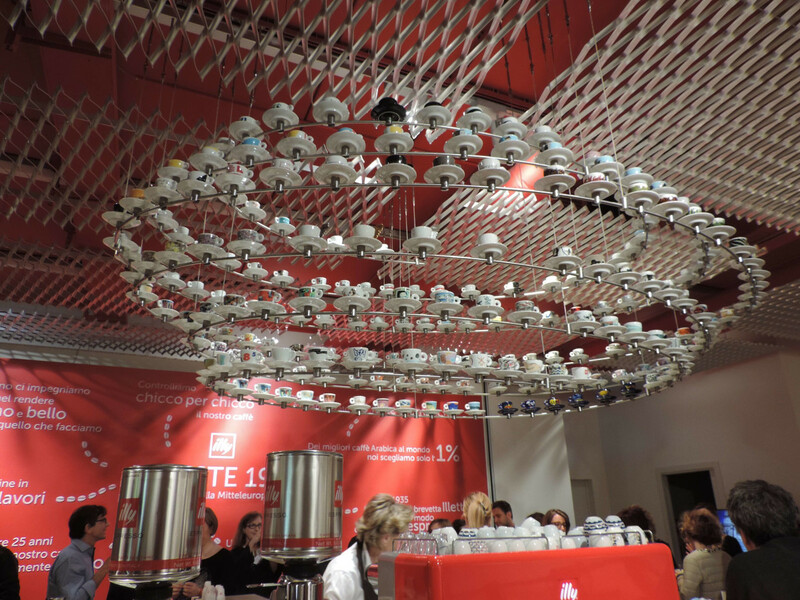 With 72 million cups a year about to be served, they want to make sure coffee-loving passengers understand the taste significance of this change, so they invited a few journalists to the illy headquarters in Trieste for some intensive coffee tutelage. This is my student evaluation of coffee college. Full confession (that I did not make until I arrived in Italy): I did not fulfill the basic prerequisite for this course, that of being a coffee drinker. As a four cups of tea (black, iced, green, hibiscus) a day kind of girl, I might not be the best candidate for coffee school, but I figured, if illy and United could get me to appreciate a cup of coffee, that would have to be some damn fine coffee. 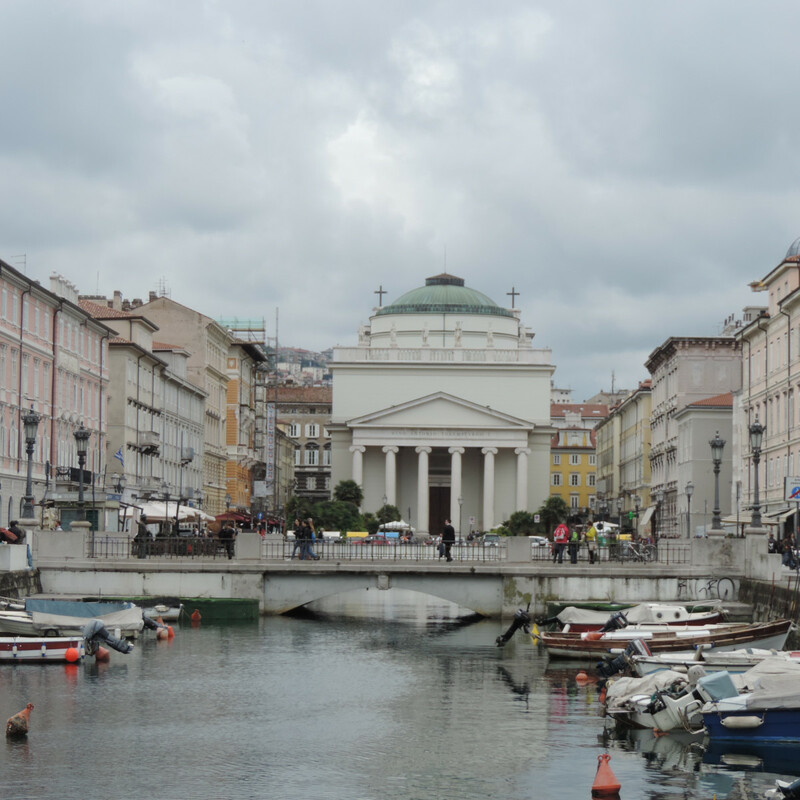 The Adriatic Sea city of Trieste is not exactly the Italian town atop every tourist’s must-see list. 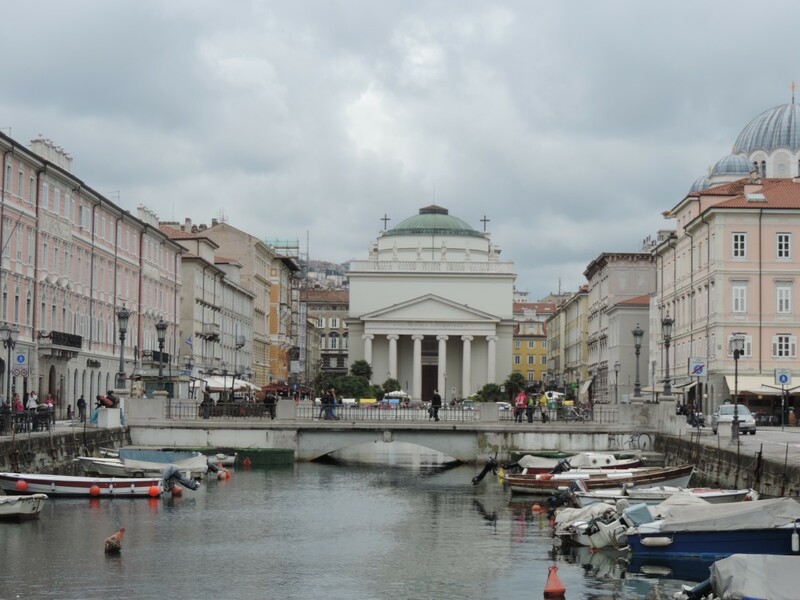 In fact, for a significant part of its history–still seen in some of its amazing Hapsburg-influenced architecture–Trieste was part of the Austria-Hungary Empire. But as a major port for coffee beans for centuries, it’s still a coffee lovers paradise. 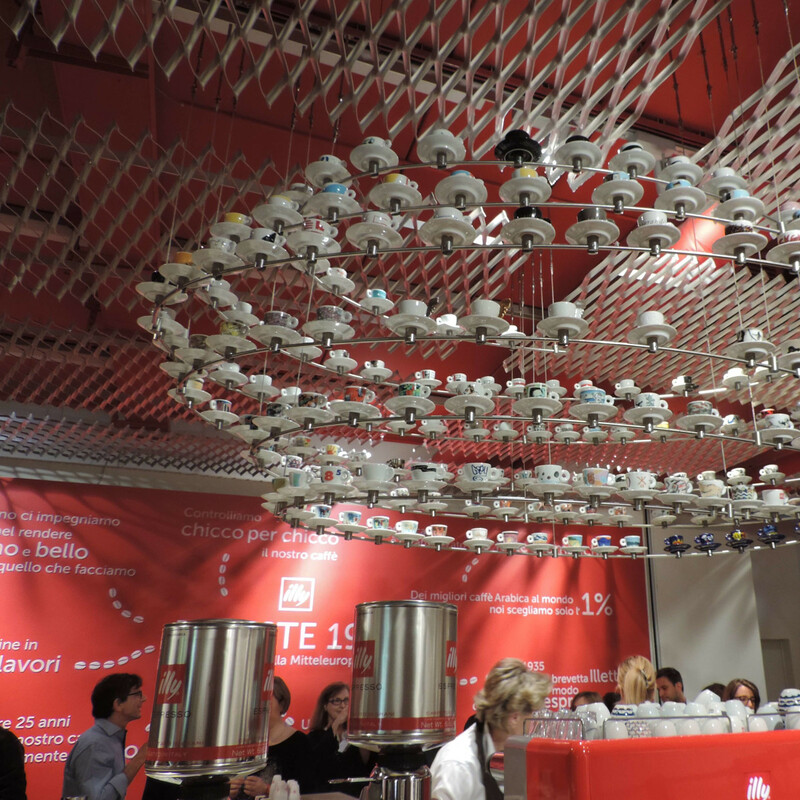 At illy headquarters in Trieste, the company has set up educational facilities amid their coffee plant to offer training and discovery courses for anyone even remotely connected to the industry, from coffee growers to baristas. I attended coffee class in what looked like a modern grad school lecture hall that just happened to contain state-of-the-art cappuccino and espresso machines as lab equipment. The first day of coffee school was spent learning the complex, global process it takes to bring together the simple ingredients of a single illy cup of coffee: Arabica beans from four continents selected to have nine qualities for their signature blend. What I found surprisingly fascinating was the science needed to take that blend up to 40,000 feet. 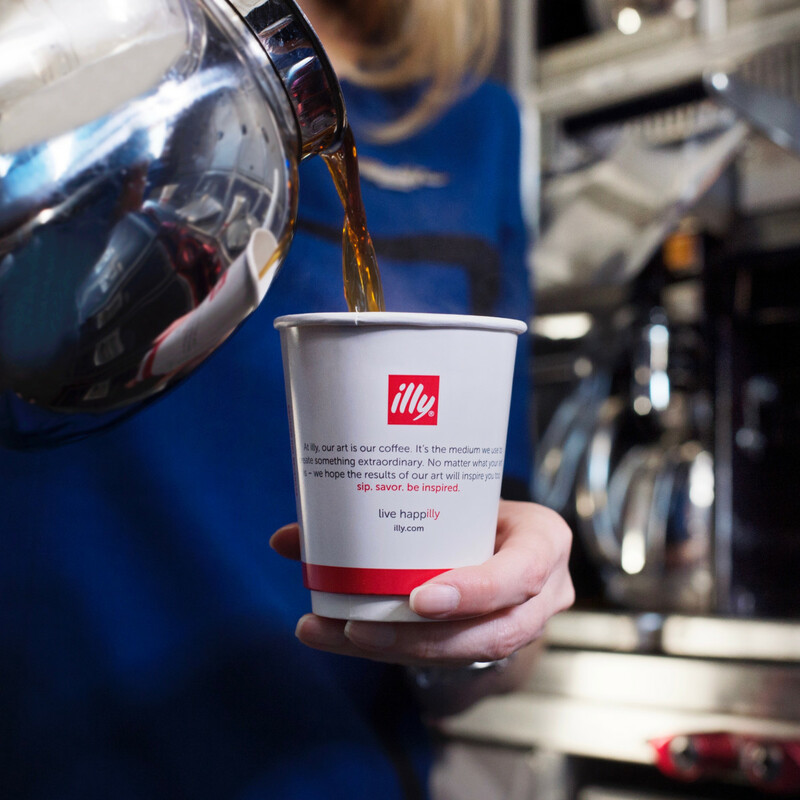 The company is producing custom “pillow packs” that will fit into United’s coffee brewers, but the design and coffee blend of those packs went through quite the trial and error process as illy had to factor in issues like cabin pressure, humidity, water quality, and turbulence. Not only do flavors change up in the air, some things we take for granted, like the temperature water boils, is different at higher altitudes. 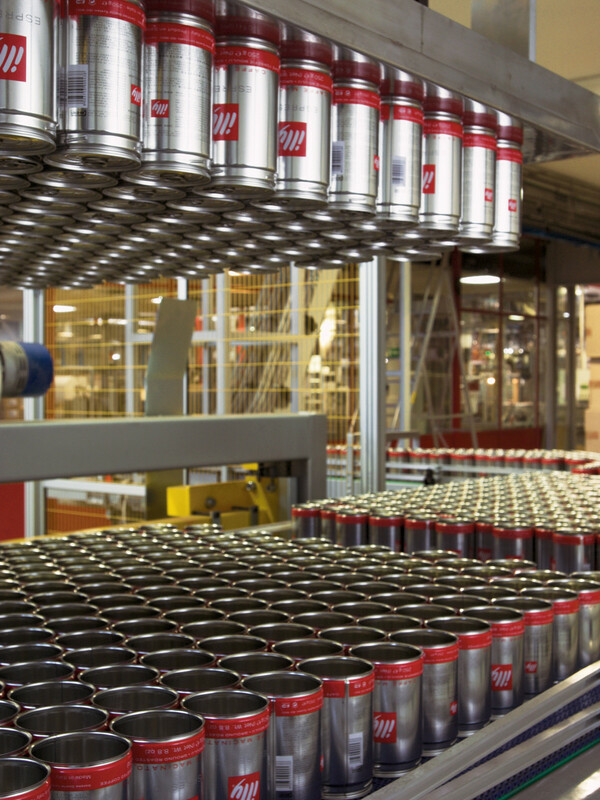 After half a day of theoretical knowledge, with some tastings sessions, it was on to the practical and a tour of the illy factory. Maybe it was the hours of travel or a bit of sleep deprivation, maybe it was the earlier lecture on how to wean out the bad beans from the good beans, but as we entered the immense rooms devoted to the roasting, blending and packaging of coffee, I felt that United had transported me into the real-life, coffee version of Willy Wonka’s palace of chocolate, and I was now exploring illy Wonka’s Coffee Factory. 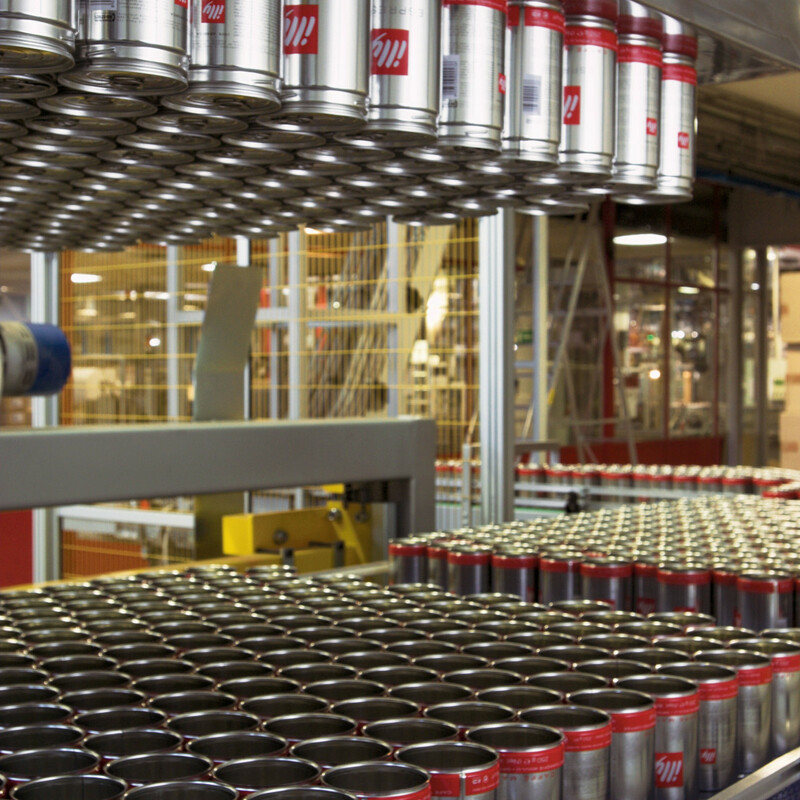 When we finally went out to tour the floor, I couldn’t help but to hum a bit of the “Pure Imagination” song as I watched robots and illy employees whirled around me checking and herding the beans were roasted, ground and then sealed into canisters, pods and rather adorable little capsules. The second day of coffee school we ventured out into the wilds of coffee culture, a.k.a went on a Trieste café and coffee house tour. 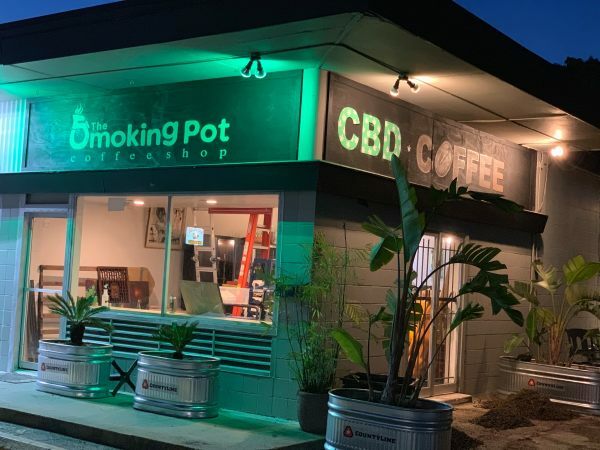 These independently owned houses of coffee worship became our second classroom as we attempted to discern how differences in preparation and barista artistry could lead to different cappuccino outcomes. 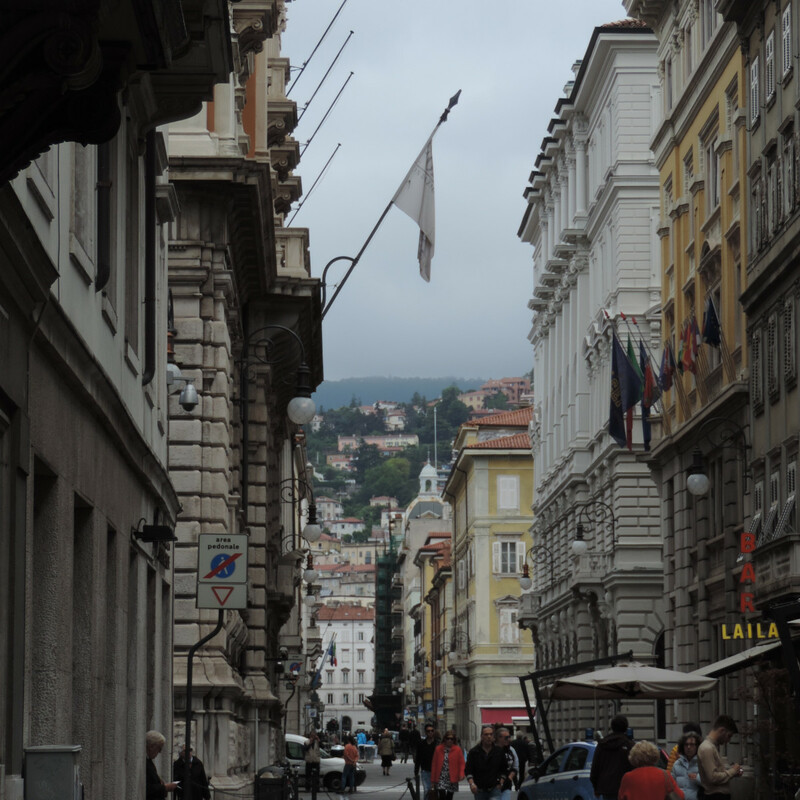 It wasn’t much of an arduous hike because there were multiple cafés and restaurants serving illy brand on every block and in every square. The whole city smells of coffee as much as it does the sea. On a more poetic level, I also had to marvel a little at that strange journey those coffee beans take across the world by sea to land in Trieste, in order to be transformed, packaged and then launched into the skies, brewed in midair and poured into that paper cup a United flight attendant will hand to you as your cross the globe on your own journey to somewhere else. So yes, this coffee skeptic might ask for a cup on my next flight. One note, though, United, if you ever decide to switch your inflight tea brand to illy’s Dammann Frères, I’m ready to register for a follow up semester at tea school.